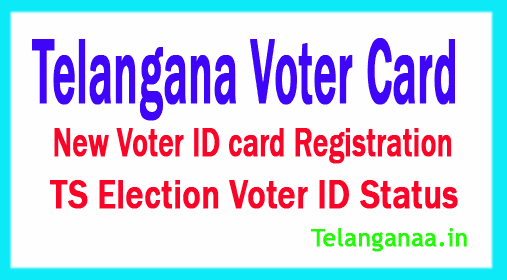 All citizens who were at least 18 years old can receive an identification of the voter card in Telangana. Non-resident Indians may also receive Voter ID if they do not have the citizenship of another country. A person can only register as a voter in one place. People who want to get their voter identification must submit Form 6, to submit to election enlistment officer in his constituency assembly. 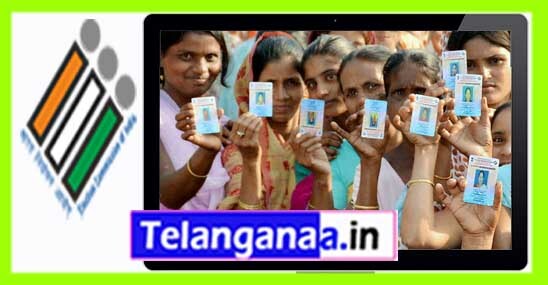 People want to register as voters in Telangana also submit their applications online. To do this you need to log into www.ceotelangana.nic.in. The site, in addition to registering new voters, also provides many other services such as checking the status of ID card voters providing correct voter identification, voters checking lists Telangana and knowing the details of upcoming elections and election officials. To register as a voter in Telangana, visit the website mentioned above and go to the homepage. Find the electronic record button and click on it. It will show the list of voter registration forms, such as Form 6, Form 7 Form 8 and Form 8A. For new voter registrations, the form is form 6. Click on this to be sent, and it will not show the form. 6 for the registration of voters in the state of Telangana. Visit the Chief Electoral Officer, Telangana's website and click on the 'E-Registration' tab at the top of the homepage. Select the 'Assembly constituency' tab from the drop-down menu and click on 'Form 6' from the options provided. Fill in the online form with details such as name, address, date of birth, current residence and announcement. Upload the supporting documentation mentioned in the form and submit them. Upon submission, an application reference number will be generated which works as a tracking number along with the receipt. Once the application has been processed, a booth will go to the level officer (BLO) form and verify the details outlined in the documents. On successful verification, voter ID will be sent by post to the address mentioned on the application form. Go to the nearest election office and collect a copy of Form 6, which is the form of name in the electoral roll. Fill in the details and submit the form with supporting documents. Upon submission, a receipt application will be issued as reference number, which can be used to track the application's status. After the application is processed, booth level officer (BLO) will make a trip to verify the information mentioned in the application. On successful verification, voter ID will be sent by post to the address mentioned in the application form. Applicants who want to know the current status of their Voter ID application can do so by tracking their application. The Election Commission of Telangana has made provisions for tracking the status of the application through the Chief Election Officer Telangana's website. The applicants can visit the website and click on the 'e-registration' tab and select 'Assembly constituency' option from the drop down menu. Select 'Know your status' option in the options where applicants can choose to search by application ID or house number. Upon selecting the relevant options, the current state of the application will be displayed on the screen. Go to Election Office and collect copy of form EPIC 002. Alternatively, download a copy of the form from the Election Commission website. Fill in the form of request, such as name, address, date of birth, EPIC number etc. and submit the form. Include a copy of the FIR (First Information Report) recorded in the time of the supporting documents along with theft or loss. On successful verification, duplicate voter ID will be sent by post to the address mentioned by the card form.